Artists, follow the links below to find opportunities and resources to help you further your craft. Note: these will not be included in the print version of the Artist Directory. If you find broken links or know of an additional resource, please send that information to us at ysartscouncil@gmail.com. Thank you! The Ohio Arts Council maintains a list of Calls to Artists of which they have been notified. Below you will find categories of artist featured in the Yellow springs Artist Directory. Click through to find the artist you’re looking for. You may also search by name above. This directory is open to all artists in the Yellow Springs, Ohio area. 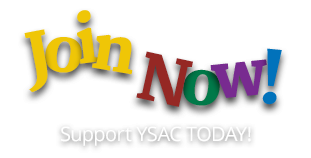 YSAC members get added benefits that increase their visibility in the directory. However, members will not automatically be included. Everyone must complete the questionnaire to be listed. To add yourself to the Artist Directory, please email ascottysarts@gmail.com. To request a change to your listing, email us at ascottysarts@gmail.com or call 937-679-YSAC (9722).